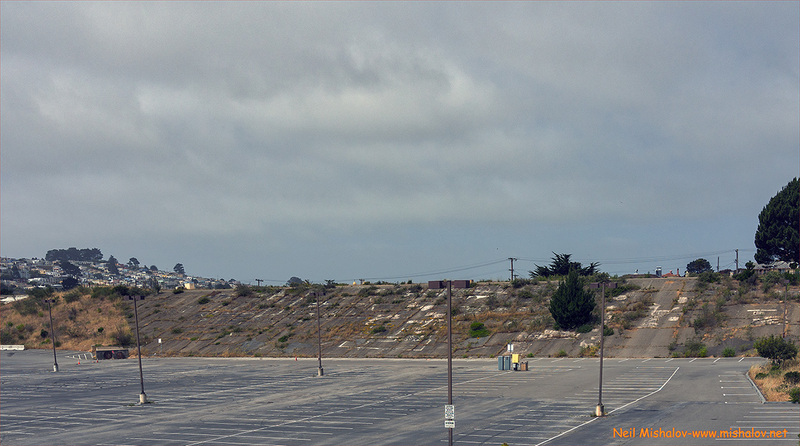 This is a view of Aptos Middle School. The school is located in the Mount Davidson Manor neighborhood. This gate is sited at the main entryway to the St. Francis Wood neighborhood. 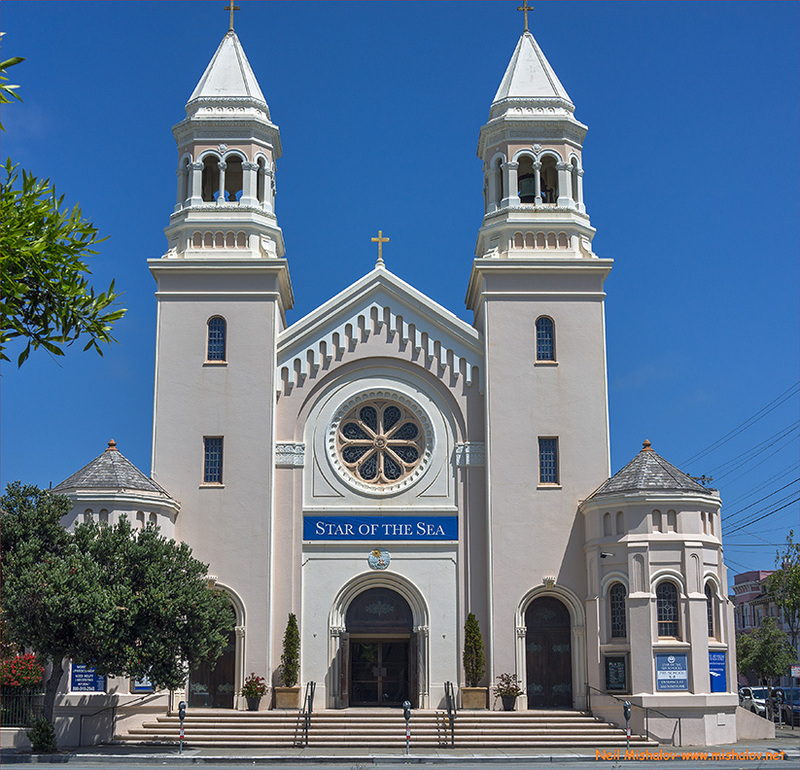 It is located on St. Francis Boulevard. This is a view looking through a chain link fence at a portion of the Mission Dolores Cemetery; it is the oldest remaining burial ground in the city. 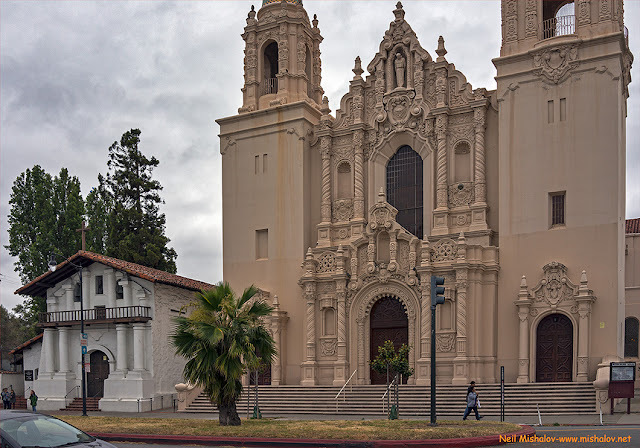 Mission San Francisco de Asís is the building on the left; it is the oldest surviving structure in San Francisco. 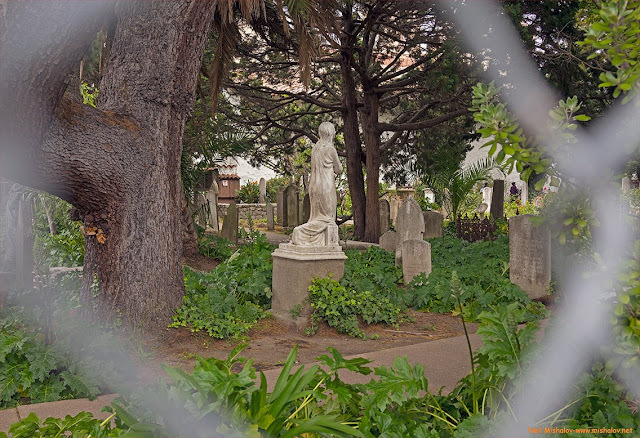 Mission Dolores Cemetery is located to the left of the building. Mission Dolores Basilica is the ornate building on the right. 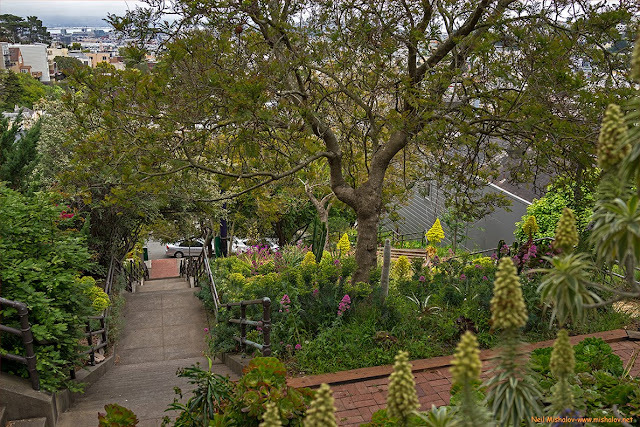 Bernal Heights Park is ahead. 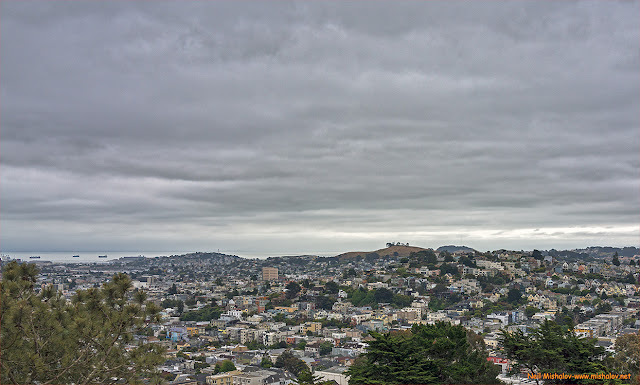 The picture was taken from Corona Heights Park. The view is looking southeast. This is McLaren Lodge. 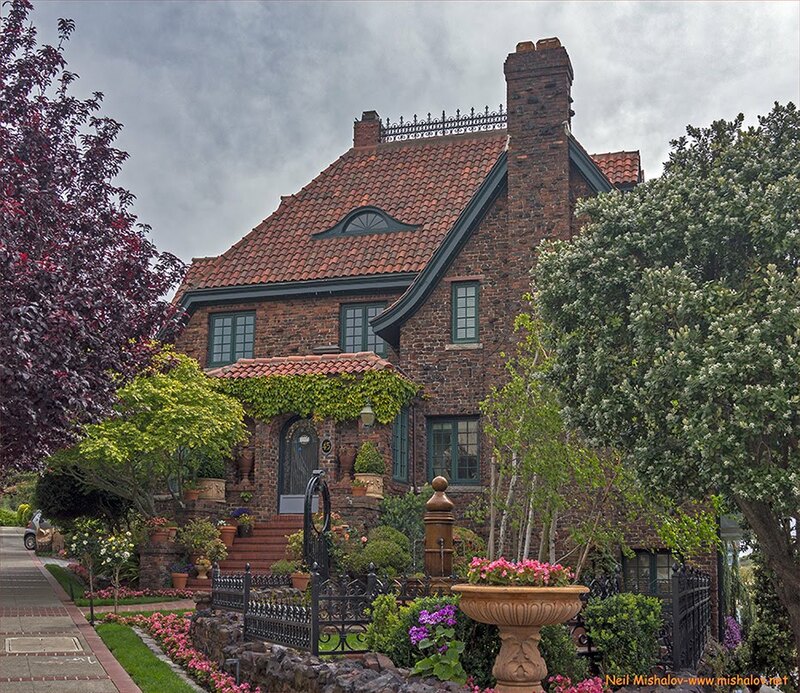 It was built in 1896 to be the home of John McLaren, the San Francisco Park Superintendent. John McLaren lived here for forty-seven years. The building is now administrative headquarters of the San Francisco Recreation and Park Department; it is located in Golden Gate Park. 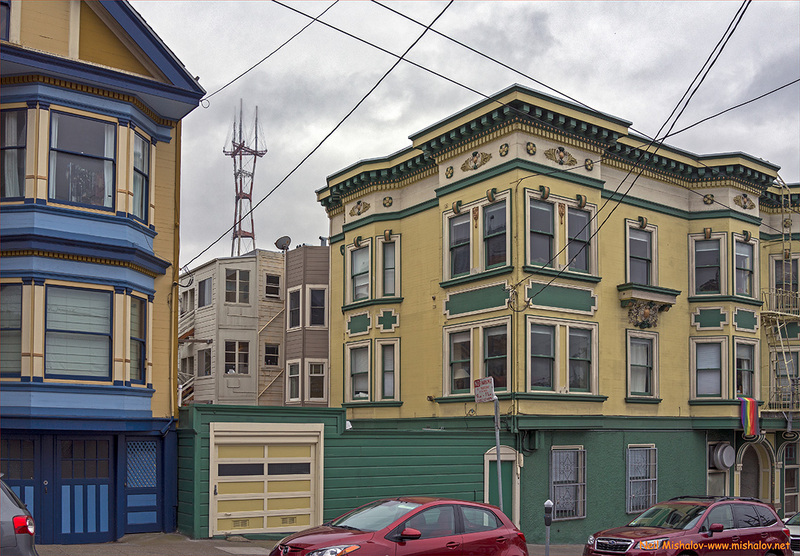 The building is San Francisco Landmark #175. This is a view of apartment buildings located on Parnassus Avenue at Cole Street. This area is in the Cole Valley neighborhood. The northern flank of Tank Hill and Sutro Tower both overlook this scene. 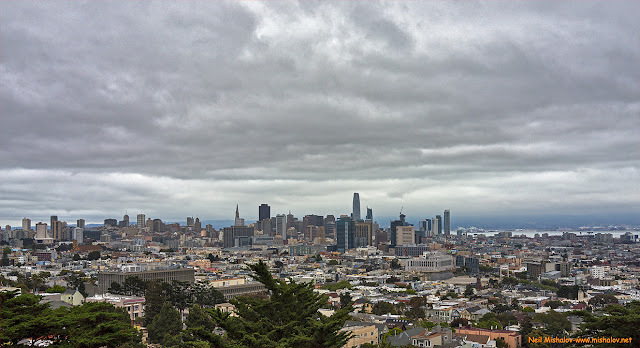 Here is a view of downtown San Francisco as seen from Corona Heights Park. 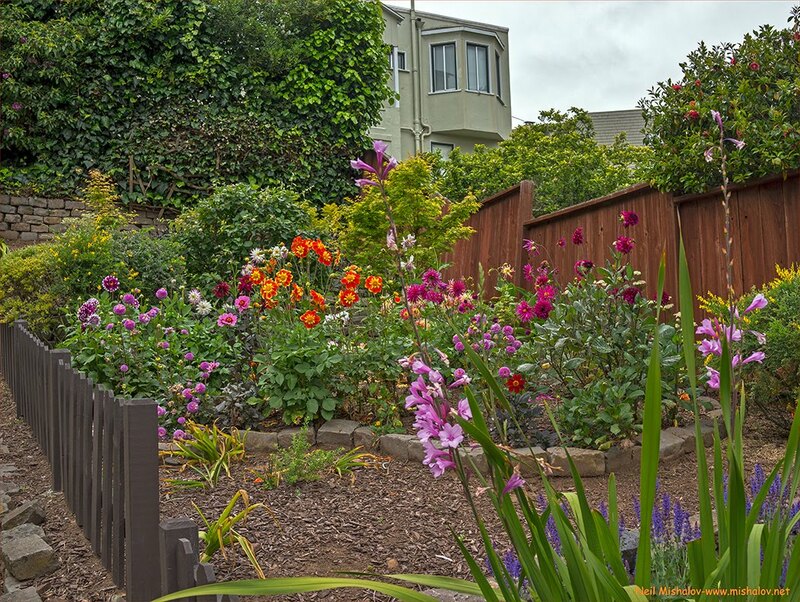 This delightful house is located on Upper Terrace Road in the Ashbury Heights neighborhood. The cross street is Masonic Avenue. 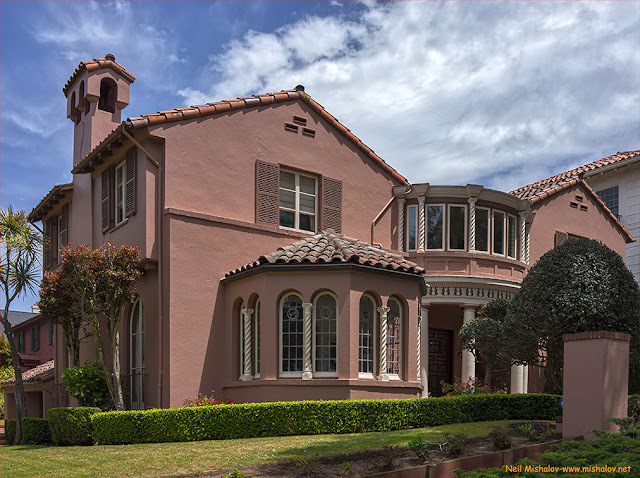 This apartment building is located on Ocean Avenue in the Balboa Park neighborhood. It is also the current location of the "Deli Man" grocery store. 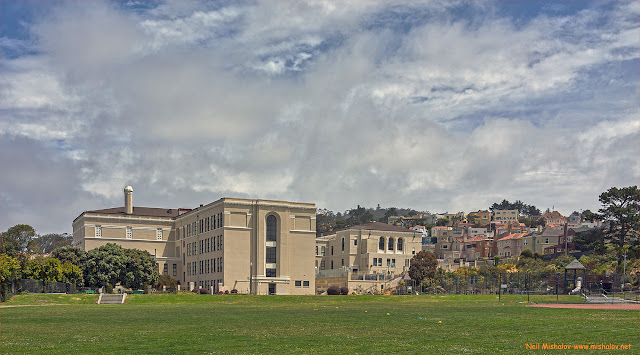 This is one of the classroom buildings sited on the campus of Balboa High School. 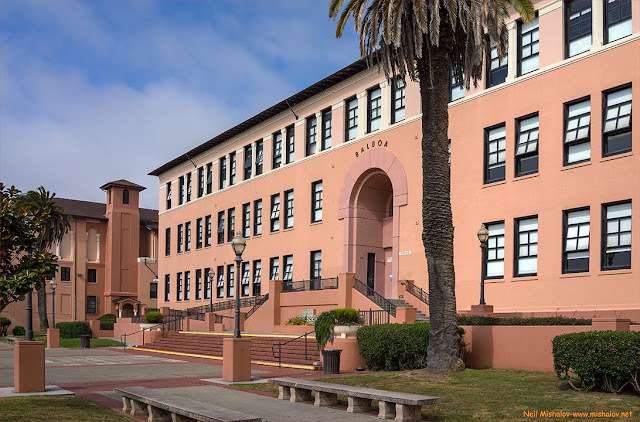 The school was founded in 1928, and construction was completed in 1931. The campus is located in the Mission Terrace neighborhood. This picture was taken from Balboa Park. 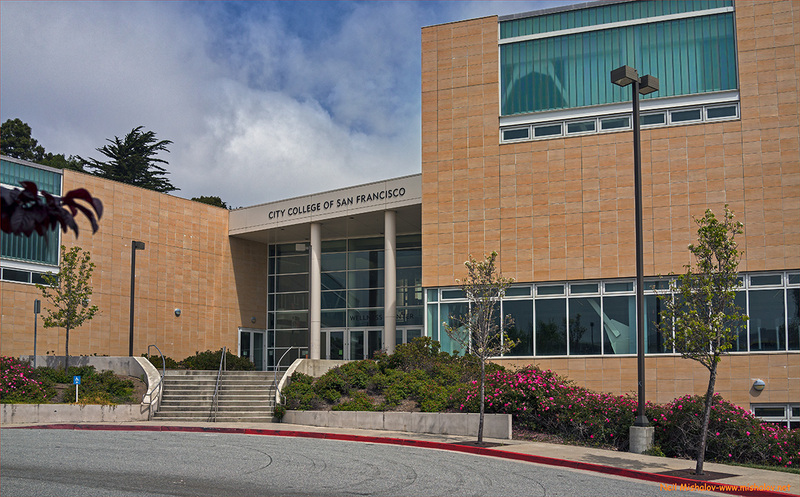 The building with the orange roof ahead on the left is the City of San Francisco Ingleside Police Station. The view is looking north, and Mount Davidson overlooks the scene. This is a picture taken from the campus of City College of San Francisco. The school, named initially San Francisco Junior College, was officially opened on 26 August 1935. 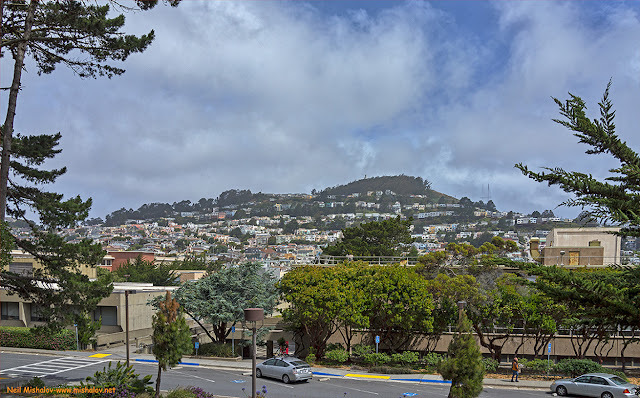 This is a view of Mount Davidson, 928 feet (283 meters). 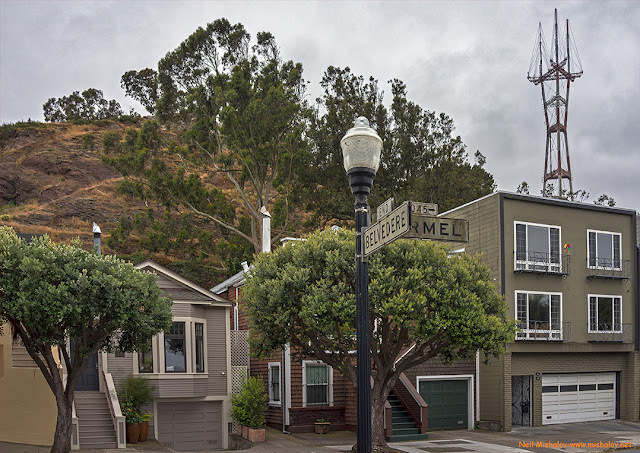 It is the highest natural point in San Francisco. 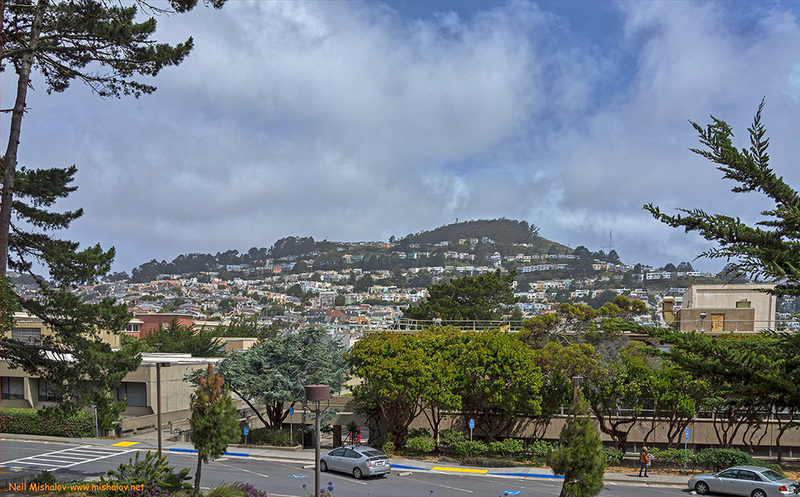 This view, looking north, was taken from the campus of the City College of San Francisco. This is the Star of the Sea Catholic Church. 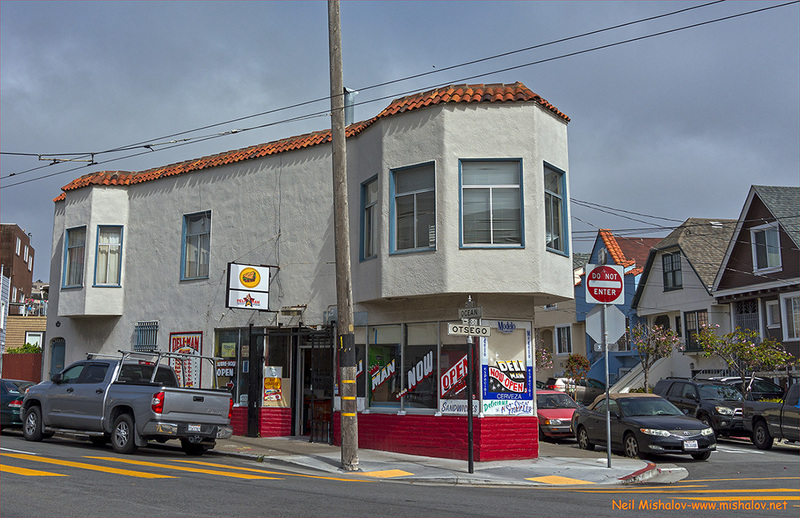 It is located on Geary Boulevard in the Richmond District. 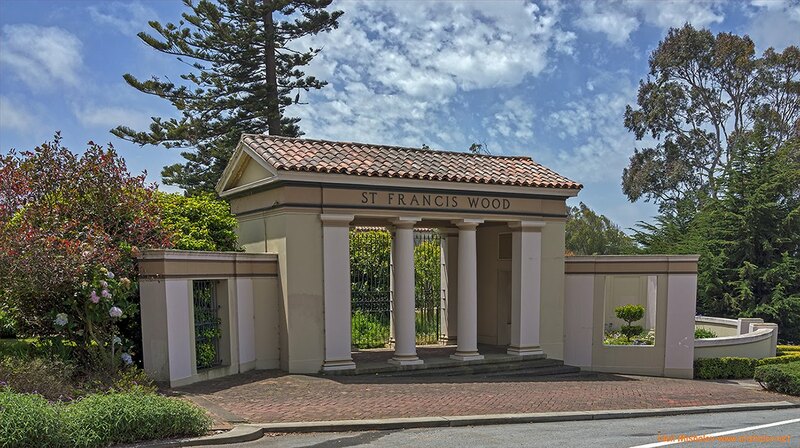 This lovely home is sited on St. Francis Boulevard in the St. Francis Wood neighborhood. This view is looking down the Saturn Street Steps. 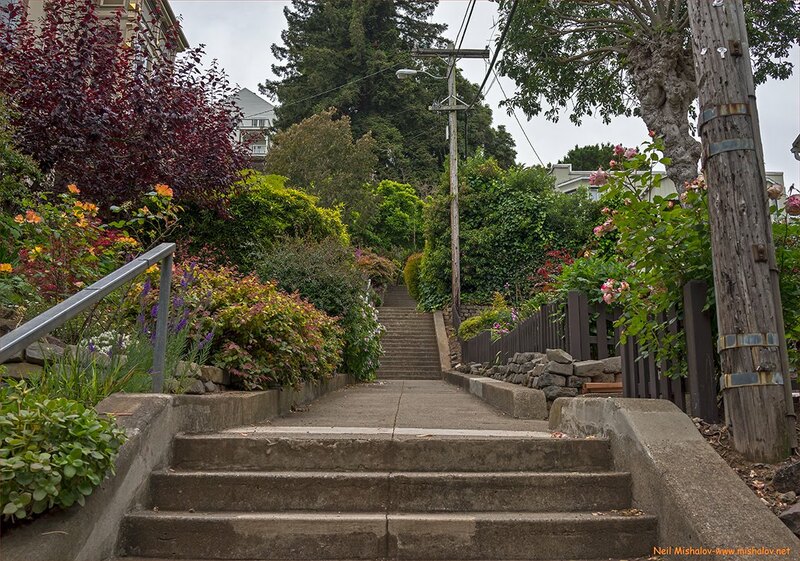 Here is a view looking up the Vulcan Street Steps. This flower garden is adjacent to the Vulcan Street Steps. 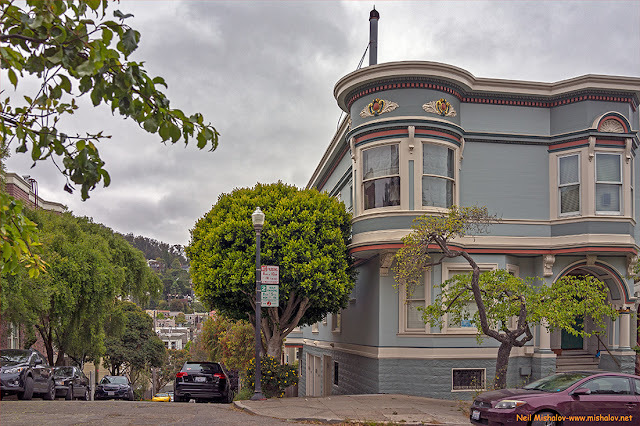 An apartment building located at the intersection of Belvedere Street and Alma Street in the Cole Valley neighborhood. The view is looking west. This is a two image panoramic photograph of San Francisco as seen from Mount Davidson, 928 feet (283 meters). The view is looking northeast. 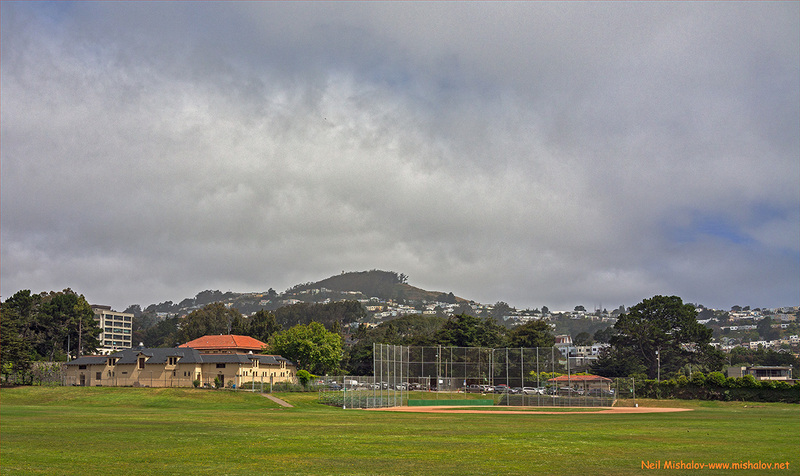 This is a view of Mount Davidson as seen from Balboa Reservoir. 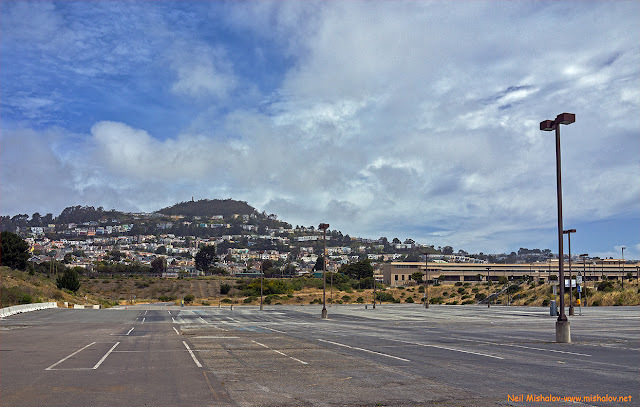 The area of land in San Francisco known as Balboa Reservoir may have been what the Grateful Dead were referring to when they recorded What a long, strange trip it's been. 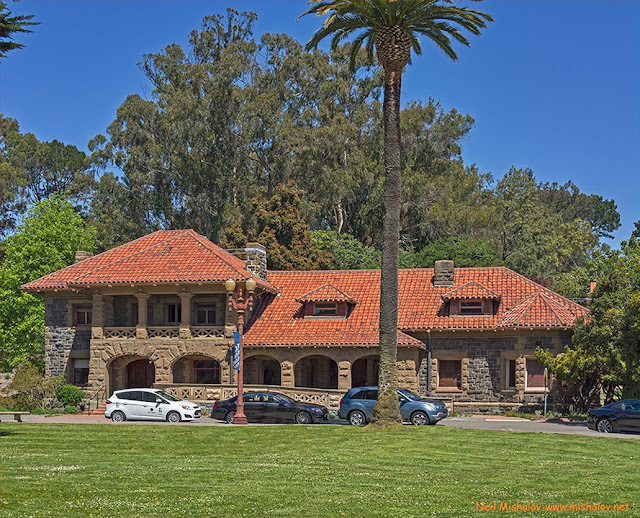 To attempt to understand the strange and convoluted history of Balboa Reservoir I suggest that you review this excellent three-part detailed history: Part One, Part Two, and Part Three. Here is another view of Balboa Reservoir. 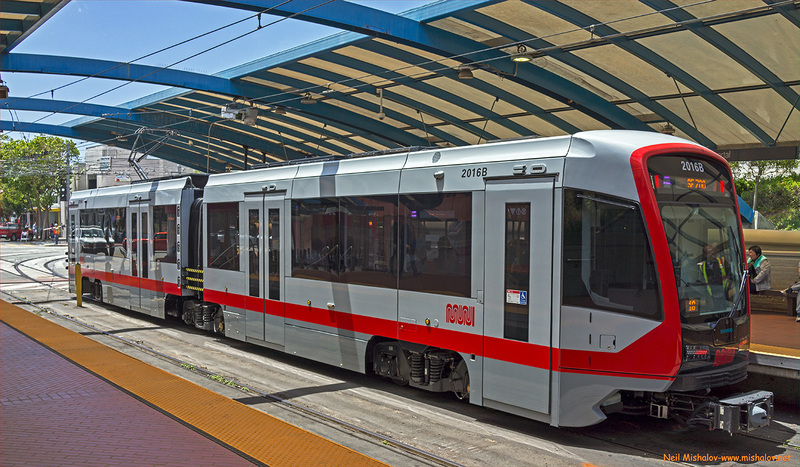 This is a new San Francisco Municipal Railway Siemens light rail vehicle. The Siemens cars are being manufactured in Sacramento, California. They are slowly replacing the Breda light rail vehicles which have been used by the San Francisco Municipal Transit Agency for the last 23 years. 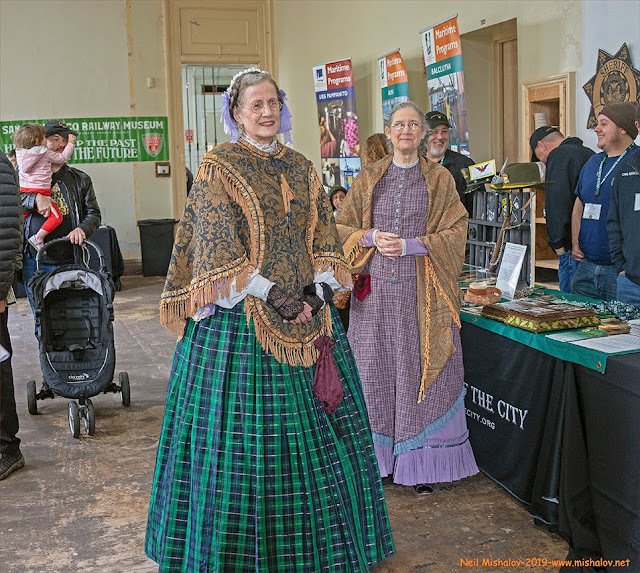 This picture was taken at the West Portal station.